Made using Swim Stim Koi technology. 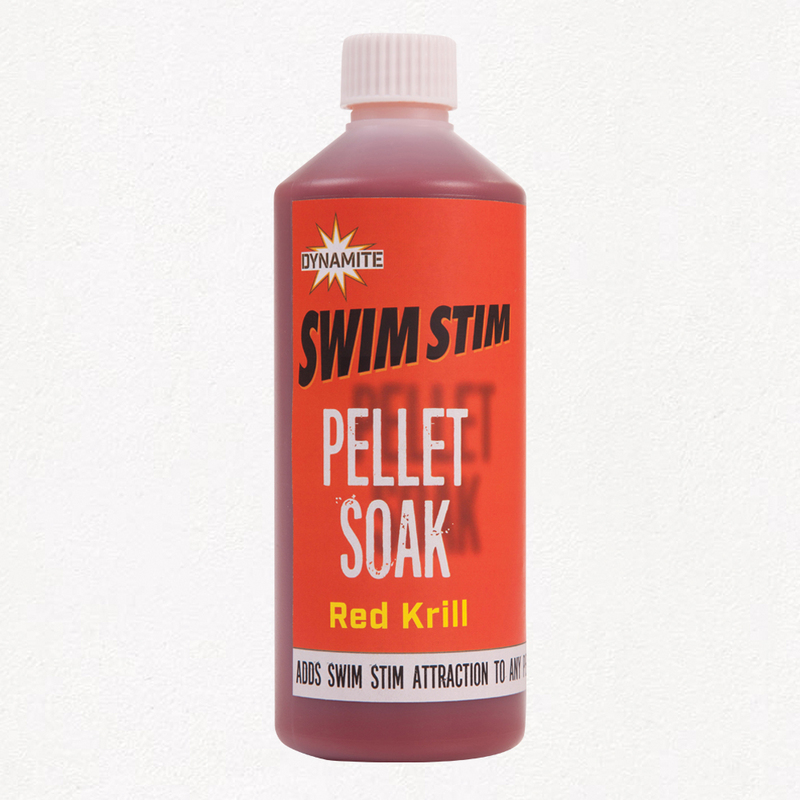 500ml bottle of multi-use pellet rehyration liquid with flavouring which matches our Red Krill Swim Stim pellets range. One of four pellet soaks in the range, which are designed to boost/soak feed pellets by adding colour and flavour to them to help attract fish into your swim. Use them to prepare and enhance your Pro-Expanders or add the power of Swim Stim attraction to fishery own pellets to make them stand out. Range includes: Betaine Green, Amino Natural, Red Krill and F1 in 500ml bottles.